An article I'll link to below refers to Sikandar's outfits as "knee-length." Ummm...those aren't knees. It also says no one would wear outfits like this as well as Prtihviraj Kapoor again except perhaps Dharmendra, and with that I completely agree. who debates the value of war with various other kings. It'd be so easy for a film like this to be ponderous, with too much throne-room ego-clashing and not enough fighting, but Sikandar rolls along merrily. It helps greatly that the music (both songs and the background score, by Rafiq Gazhnavi and Mir Saheb), sets, and costumes overall are a delight. Both Puru and Sikandar have capes that could double as tents for their armies. Backdrops are clearly painted, but the palatial architecture and furniture are lush and full. The lighting and other effects are super too, in particular the lightning flashing during a thunderstorm as Sikandar prepares his troops to cross a river (the Jhelum? ), illuminating the soaked soldiers in all their armor and huge plumed helmets while the wind whistles and fires roar in the background. This is surely filmed in actual darkness with strategically placed lights, which on its own seems tricky enough, but Modi adds in dozens and dozens of horses, tents, rocks, and a forest too. 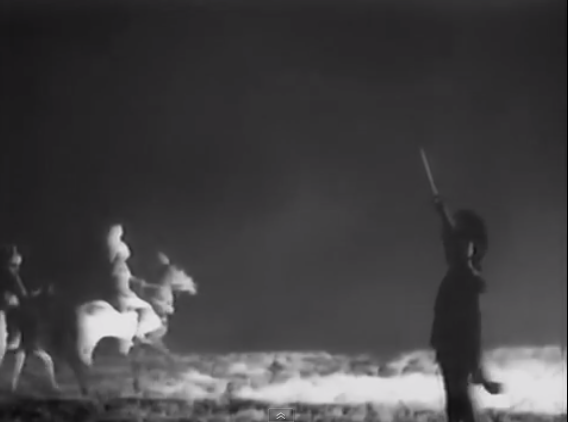 I'm not certain that Indian cinema has improved overall in its presentation of historical battle scenes in the 70-odd years since this film was made. 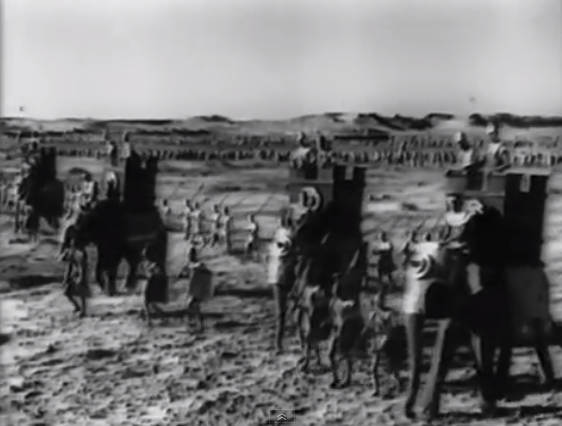 For starters, the staging of the Greeks vs Hindustanis is clearly full of actual people, horses, and elephants, since there is no CGI in 1941. The actors and the camera are in the thick of things. Trained elephants very carefully lying down to indicate they've been felled is not convincing (and hooray for that), but the clouds of dust and giant roars of the crowd are. Sikandar's armor looks just as realistic as, if not better than, anything in Jodha Akbar or Veer, perhaps because old black and white film doesn't have enough detail for us to see the costuming tricks but perhaps because these wardrobe wizards are actually combining materials intelligently instead of relying on pre-molded pec-shaped spray-painted plastic. 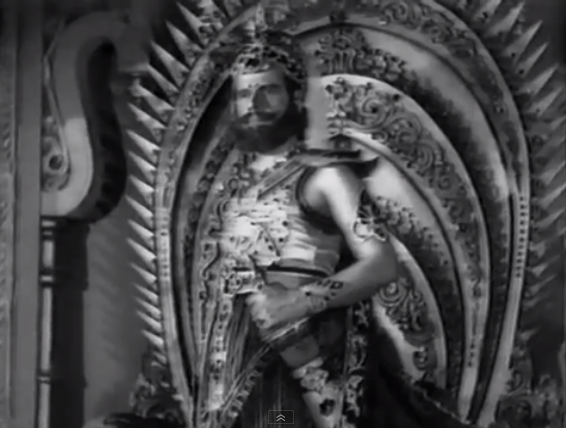 Also key to the film's success, I think, is Prithviraj Kapoor. For starters, his physical presence strikes me as absolutely perfect: not just because he's beautiful and has Greek god wavy hair but because he's simultaneously imposing and dynamic. The writer (Sudarshan) gives the character some important complexities—he's obedient to his teacher and the gods yet clearly considers himself the rightful ruler of the known world; he's imperious yet makes sure to remember the lowliest member of his troops when gifts are distributed; he bellows in front of armies yet stomps around in juvenile snits when things don't go his way, flinging his cape here and there—and Prithviraj somehow rolls all these things up into a very flawed but likable character. Says Sukanya Verma in Rediff: "Almost every sentence coming out of his mouth reeks of narcissism. 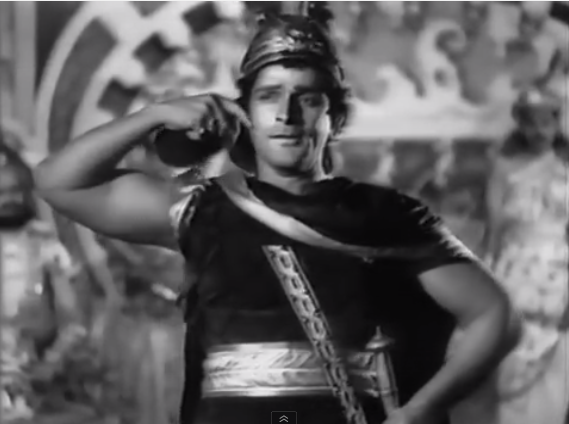 But Prithviraj Kapoor humanizes his pomposity, turns him into someone who isn't self-indulgent on purpose, he just doesn't know better because he is the best. Such arrogance is almost naive." Verma also says "Spontaneous, natural acting wasn't the trend back then and it takes about 10 minutes to adjust to Sikandar's verbose theatrics. Once you get used to it, there's much to appreciate in the marriage of booming baritone and vigorous physicality." I'd agree firmly with that too: no one in this film is easy to watch by today's standards but they are all powerful and compelling. If the style puts you off, try to hold out a little bit longer until you're swept up in all the action and ideas. Everyone I've discussed this film with has mentioned how easy it is to see traces of each of his three sons in Prithviraj Kapoor in Sikandar. 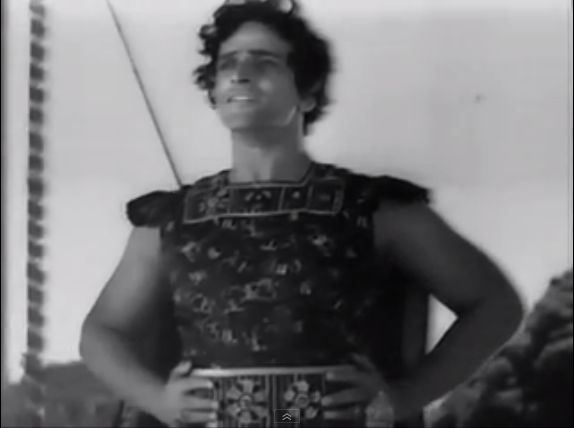 In the picture above, for example, I see Shashi in his face but Shammi in the stylized, exuberant gesture. Watching the film made me realize how much arrogance is a part of what I associate with the Kapoor men, even more than might come naturally from careers as filmi heroes, although it takes a different form in each of the sons. Shashi inherited (or used, I'm not sure which) the sort of golden, confident version, in which the central male figure is truly befuddled when he realizes someone doesn't return his affections or agree with him; Shammi got the "Look at me look at me look at me!" antics and certainly built most successfully on the energetic gestures and movements; and Raj...well, the man can pout. Another aspect of Sikandar with which I am utterly smitten is how it challenges what I think is going to happen. It is a blast of surprise against my...I'll say hubris (to be appropriate to the film's subject) in thinking I know what a Hindi film is going to do. Of course I didn't expect any major feature film to narrate the story of Alexander the Great as that era's historians understood it, but I reeeeally didn't expect, for example, Aristotle to show up in the Persian capital with Alexander and remind him how important it is not to be distracted by women when you're planning battles in foreign lands. "He who would conquer the world should stay away from women," says Aristotle. Putting aside the refusal by the narrative to acknowledge anything other than married heterosexuality even when depicting ancient Greek culture (and I'm sure a Hollywood version of his story made in this era would do the same), this little detour into the risks of romance establishes a theme about the power of love. This twist on the typical tale of historical Alexander also gives Rukhsana a chance to spar feisitily with Aristotle—and sets up the bizarre sight of her throwing a shawl over him and using it as reins to trot him around a garden fountain. 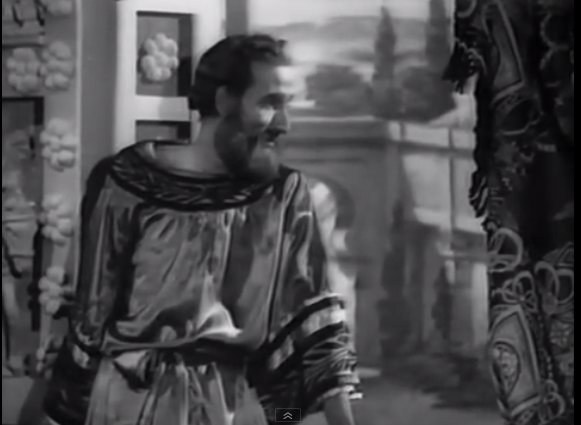 Given that Aristotle is involved, you should take heart that the game of horsey (and the whole scene) is more philosophically complex than what I've just described, but the gist is that Sikandar realizes Aristotle is right and that a woman can distract a man from his ambitions. He vows not to see her again until he has conquered India, and as he goes, she says "Peace of mind comes not from war or victory but from peace and love." That's a perfectly Bollywood battle cry, especially since these troops are invading rather than defending the desh, and, in a move that will surprise historians everywhere, the Greeks gallop off towards the subcontinent on their clip-clopping horses singing "Life exists because of love, so let it be spent in love. At the feet of beauty, give up your heart, give up your life.... Life is a gamble; don't look at it from afar. Step up to it, and put your life on the line." (See "Zindagi Hai Pyaar Se" here.) Rukhsana, for her part, is visibly inspired by that last little bit of lyrics. 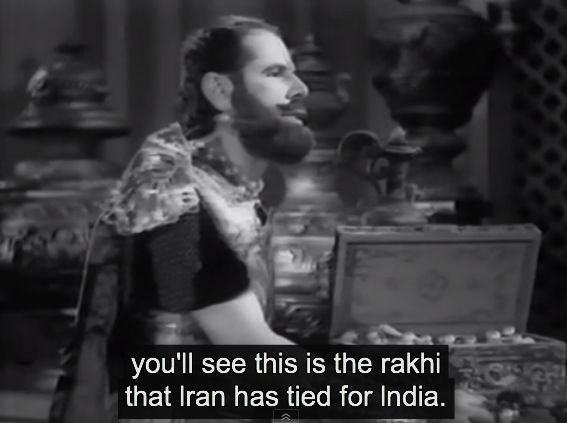 As any good filmi girlfriend or sister would, she goes along to India anyway and—again, the historical record may not bear this out—ties a rakhee on Puru in order to protect Sikandar from him in the looming battle. One of his princes proposes that Hindustan is sure to triumph over Sikandar (unspoken: whereas Persia did not) because so far Alexander has not yet met anyone who values self-respect. ("I think we'll have to agree that Persia drools while Hindustan rules," said Cultural Gutter, my viewing companion.) It's really too bad Darius is dead by this point because I'd love to hear his contributions to these discussions of conquest and right. 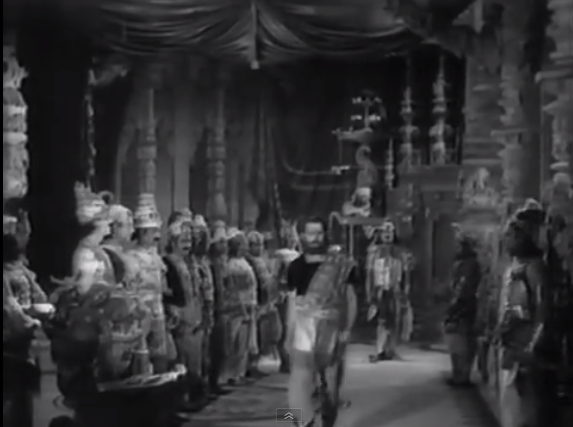 One of the Indian princesses (Meena Shorey, enunciating Hindi in a style I've never heard before), trying to spur her reluctant brother Ambhi (K. N. Singh) to join Puru in the fight, says that "He who cares only for his own life cannot do anything in this world." She's talking about her brother, who would rather ally with Sikandar and be done with it, but it's a good dig at the egotistical invader too. I know so little about the film industry in the era Sikandar was made, and I'm wondering if the fact that it was released at all indicates the British were either not terribly involved in the censor board or just didn't have the energy to bother much, given what else was on their international plates. Perhaps they saw Sikandar as a European hero and didn't think much about the film beyond that? Or do they see him as representing Germany, with wise Hindustan inspiring in him better behavior and being the only place where he listened to the gods telling him to turn back his relentless drive for conquest? (The fact that his troops are about to mutiny because they desperately want to go home has less impact on the cinematic emperor.) An article in The Hindu a few years ago says that the film was later banned in some cinemas for its power in inspiring nationalism, and indeed there is significant conversation about the dangers and indignities of having a foreign ruler. It's curious to see a story where the invader is so...I can't exactly call Sikandar nuanced, but he and his desires are more complex than most filmi villains. I don't even think it's fair to call him a villain. He's the threat to and opponent of Hindustan in the film, but he's not evil. Still, it's interesting that we can read different contemporary empires into him, and it's downright amazing to see a film this patriotic that has such an empathetic and engaging enemy. While thinking about Sikandar's status as more of an equal than an enemy, it occurred to me that it's almost possible to read Sikandar as a typical love triangle in which neither of the heroes (monarchs) competing for the girl (India) is bad, and they have similar status or backgrounds and might even be friends (peers), and their interactions and competition might illuminate virtues and ideologies, but in the end one of them must be wiser or more virtuous and therefore satisfy us as the champion. And then it occurred to me that perhaps Sikandar is like Student of the Year, only instead of completing a scavenger hunt and bike races to get Alia Bhatt/admission to an Ivy League university, the heroes are battling over the even more priceless motherland. Which is probably for the best for Puru, because there's no way he'd win the dance-off. Watch the restored version of Sikandar (with English subtitles) by Edu Productions on their youtube channel here. Additionally, if you want to refresh your knowledge of the actual history, I recently watched and loved Michael Wood's BBC documentary In the Footsteps of Alexander the Great, in which he and a crew follow Alexander's whole path, key segments of it on foot just as the armies did. It's worth a watch just to see the harsh (and breathtaking) terrain and distance, but for me the highlight was getting a sense of just how many cultures are involved in this incredible period of history. In fact, it is this documentary that finally spurred me to watch Sikandar, because Michael Wood actually discussed the film and there is footage of him watching it in a theater somewhere in...I think he's in Pakistan at that point. 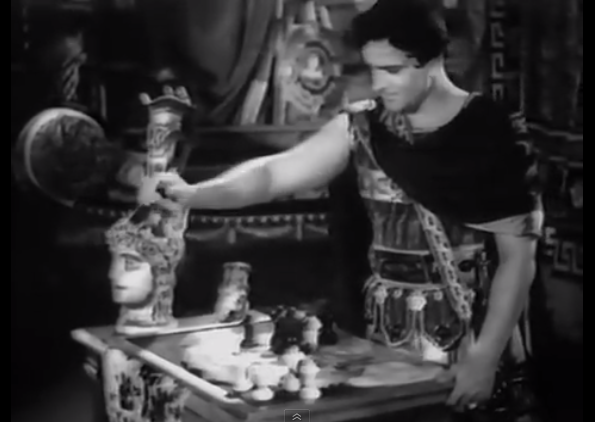 To me, Wood's film stacks up plenty of evidence to indicate that Alexander was profoundly out of touch with reality (or perhaps even mentally ill), whether with just delusions and narcissism or also, later, with sociopathic revenge. That background makes this film's portrayal of him all the more interesting, as it manages to constrain his contradictions of character into a sympathetic whole. I cannot find anything admirable in the real Alexander when his whole history is considered, but Sikandar shaves off his ruthlessness and presents him as driven by exuberance and hunger that can be redirected by input or sound arguments from worthy rivals. 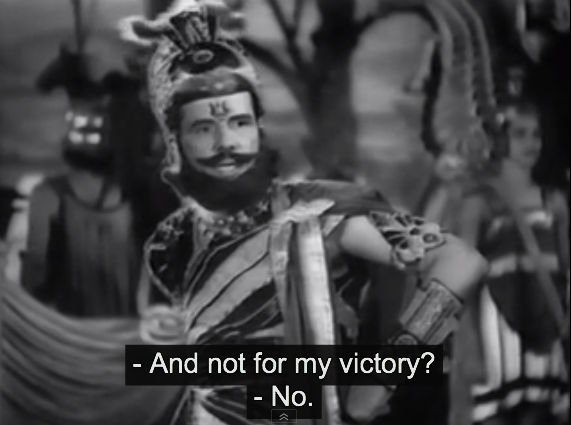 I wonder what this film's portrayal of Alexander says about the general Hellenistic legacy in Indian history and culture—he is decidedly not of Hindustan in this film, but he is alike enough that he respects its leaders and in fact his life is spared because of Rukhsana's use of an Indian tradition. He is foreign yet not as "other" as we might expect. He's not right for India, but he's worthy of it. The chessboard of his dreams of Indian empire. Hi, Beth, if I may be so familiar. I've only just recently discovered your wonderful blog and have spent several pleasant days reading through it and largely agreeing with your opinions on various movies and other filmi subjects (although "by Helen" should surely be "by Pran"?). Sikandar is my only experience of Prithviraj in his prime, and he's so very... Pratchettian in his heroness. If either of those two words are real. It's basically Quit India: The Movie, with a wafer-thin veneer of historicity to disguise the anti-British message. At least one bottle of Thums Up in approval.